The Lord Jesus has spent the night of His betrayal with His closest followers. He has now finished His farewell discourse in the upper room, and has begun His High Priestly Prayer. He has prayed about His coming sufferings and exaltation, His immediate followers, and now He prays for all future believers. As we listen in on the last few verses of the Lord’s prayer in today’s passage we will hear Him praying for us. Jesus now turns His attention to not only those with Him that night, but to those who will believe in Him in the future. He acknowledges that others will believe in Him through the message of those men. You and I are in that category. We have come to saving faith in Jesus Christ because of the work of the Apostles. The Lord used them to write the pages of Holy Scripture. The Gospel message that we have believed is found in the New Testament which they wrote. So, we have continued in the Apostle’s doctrine even until today. The doctrinal authority of this church is not the preaching and teaching pastor, but the Apostles themselves. I believe what they believed, preach/teach what they proclaimed, and follow their practices in the New Testament. Paul said in 1 Cor 11:1, “Follow me as I follow Christ.” I would hope that you would follow me as I follow the Apostles. Learn from my teaching, as I learn from the teaching of the Bible. What is my point in all of this? Christ prayed for those who would later believe because of the Apostle’s word. You and I have believed their message about Christ. So, He was praying for us! Jesus’ chief concern for you and me in this prayer is unity. This was His same prayer for the first followers. What is it that unites us? At this point He has said nothing about love. We will get to that in just a little while. All He has mentioned thus far is the message of the Apostles. What is their message? The Gospel of Jesus Christ. It is the Gospel that unites us. We are all called to believe, obey, and proclaim the Gospel of Christ. The glory of Christ is found in the Gospel which has been passed down to us. I’m not sure that we all understand how much the Gospel is worth. The message of Christ crucified is the greatest treasure in all the world, and we are partakers in it. The glory that Jesus is talking about is the value of the plan of redemption. The Father gave this glorious plan of redemption to the Son, and He has accomplished it for us. The Gospel message of the Apostles and the glorious plan of redemption given to us by the Lord Himself are passed on to us so that we may be one, but there is even more that unites us. Christ Himself has said that He would be in us. He will bring us together. That is how we are made perfect in one. The unity that the Lord wants to create among believers allows the world to see that the Father has sent the Son and that He loves us. I wonder if that message is getting across to the world. I wonder if that message is getting across to our community. Do they know that Jesus Christ has come to save them because of our unity? Do they know that the Father loves us because we are united? I can only hope so, and work to that end. Jesus prays in verse 23 that we would be perfectly united that is, completely united in purpose and love. Jesus expresses His desires in verse 24, which are no less than the desires of the Father. He has already prayed that He would return to the glory which He had with the Father before the foundations of the world. Now He prays that all believers, whether first or last, would be with Him in that place and see his glory. In simple terms, Christ wants you to be saved. To be saved is to avoid the judgment of God and escape the tragedy of Hell, but that much more it is the pleasure of being in the presence of Jesus Christ and enjoying the sight of His glory forever. I cannot begin to tell you the glories that there are to experience in His presence. He wants that for you! I want it for myself, and I want it for you as well. The Lord could not talk about unity and not include love. Love is the last note of His lengthy prayer for His followers. On several occasions in the New Testament, love is called upon last like the covering that binds all things together. The Scripture says that love covers a multitude of sins, and that is exactly what we need for unity. We need our sins covered, and they are by the blood of Christ and out love for one another. The Father loves the Son and He loves us. Jesus declared the Father’s name to the Apostles and to us by extension. In doing so the knowledge of God has been declared to us; His person, righteousness, and love. Christ says that He has declared the Father’s name and that He would continue to declare it. I interpret His continuing work of revealing the Father to be through the ministry of the Holy Spirit. In this way, believers are indwelt with the love of the Father and the person of Jesus Christ. In Romans we are told that the Spirit pours the love of God into our hearts. The last phrase of the prayers is that Christ would be in us. We can truly unite in the person and work of God. In this passage of Scripture, the Lord prays for not only His immediate believers who were present with Him at that time, but for all believers, even those in the future like you and me. We often think that the Bible was written directly to us as individuals, but we forget that the books and letters of Scripture were written to certain groups of people at certain times in history with certain circumstances. It is our task to learn about those things, and then apply the lessons to our own lives. We must bridge the gap between Bible times and the contemporary era, yet there is no more direct comment made to future believers in all of Scripture than John 17:20-26. The Lord Jesus Christ was praying for us! Of all the things we can learn from this part of the Lord’s prayer, two points are most important. Christ wants us to be united and He wants us to be glorified. He has not only prayed for our unity, but he has shown us those things that will unite us. Let us look to those things that will bind us together. 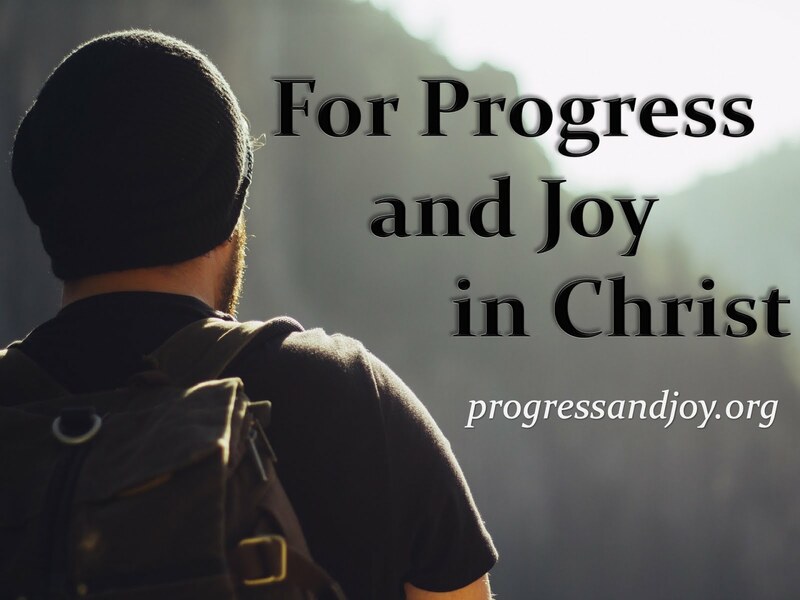 In doing so we will find wonderful Christian friendship, a thriving church, and the community will know that Christ has come to demonstrate the love of God.